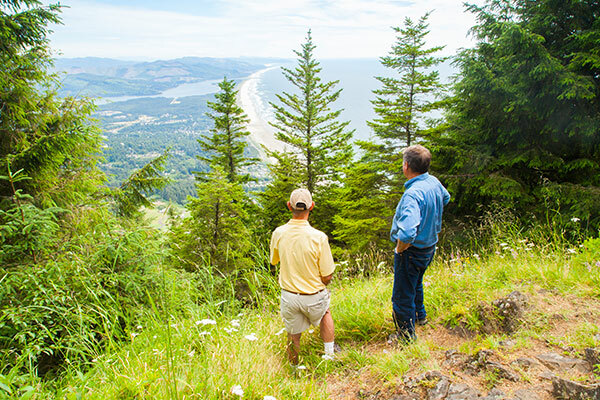 Local Attractions – Explore Manzanita! Oswald West State Park is a place of boundless natural beauty; winding trails, lush undergrowth, regal trees, and breathtaking vistas of sea and sand. Stretching along four miles of coastline north of Manzanita and Neah-Kah-Nie Mountain, this 2,500 acre preserve is the Oregon Coast’s Walden; a place of quiet contemplation and regenerative power. Like its namesake, a former Oregon governor, it is an essential link to the state’s legislative history. Rain or shine, exploring this awe-inspiring, forest-filled coast by foot is an absolute favorite among Manzanita locals and tourists alike. With so many gorgeous state parks nearby, you’ll have plenty of trails to choose from. Set on the southern border of Manzanita is Nehalem Bay State Park. Head down to the beach and take the 5.2-mile loop on the picturesque sandy shores of the beach. Oswald West State Park is north of Manzanita and with almost 2,500 acres of lush forest, you could easily hit a different trail a day and still have untouched trails for your next trip. Take a mile-long trail down to Short Sands Beach for a quick jaunt to a beautiful sandy cove, or follow the well-marked trail to the top of Cape Falcon for some gorgeous views of the waves crashing below. 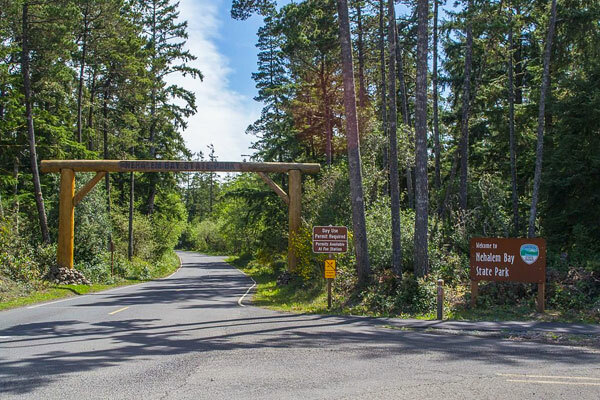 Located 86 miles west of Portland along the north Oregon Coast, Nehalem Bay State Park features a campground, two day-use areas and a variety of activities for the whole family. Situated among a sea of shore pines, the campground borders rolling dunes that separate the campground from the beach. A walk over the dunes and you’re at the beach building sand castles, flying a kite or relaxing to the sound of the ocean. Beach-combing can produce special rewards – treasures that include agates, shells, and occasionally glass floats. A forested 1.8 mile long bike path provides a breathtaking view of the bay for recreation and wildlife enthusiasts. Along this route, and in the campground, you may see deer grazing, a herd of elk, a coyote crossing the road and a variety of birds. Kayaking, crabbing, fishing, and clamming are also popular past times. The Manzanita Farmer’s Market is open during the summer from early June until mid September. The market is open each Friday and features the freshest locally grown produce, flowers and many wonderfully unique handmade products. There is also live music and delicious food to sample. 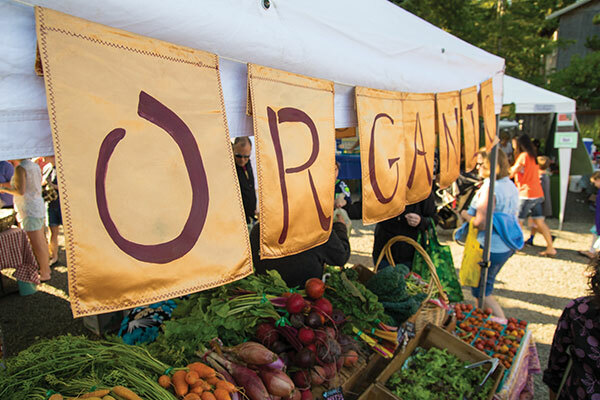 Located at the intersection of Laneda Avenue and Fifth Street – in the Cascade Sotheby’s Realty parking lot – the Manzanita Farmer’s Market is a great way to spend a warm summer evening while getting to know a little about the town. Come by and visit, taste some wine, and check out our summer event schedule. Also, ask us about using the winery to host your next big event. 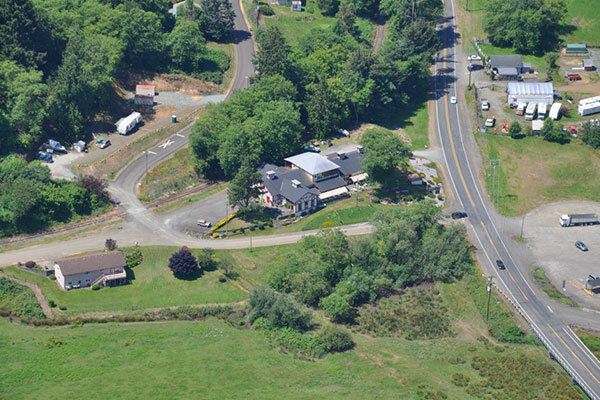 Nehalem Bay Winery has enjoyed 40 years of serving visitors. Celebrating great wine and great fun for the whole family since 1974! Nehalem Bay Winery began when Patrick McCoy became fascinated by the then infant wine making industry in Oregon. McCoy was travelling on the Northern Oregon Coast when he discovered an old, abandoned creamery, the old Mohler Creamery. The creamery had been a part of the Tillamook Creamery Co-op producing cheese, milk and butter from 1909 to 1959. He looked at the old decrepit building and saw a potential winery in its place. There are now approximately 350 wineries in Oregon. Many are tiny wineries producing small amounts by industry standards(less than 3,000 cases) with limited distribution systems. Nehalem Bay Winery currently now sells over 4,000 cases a year. 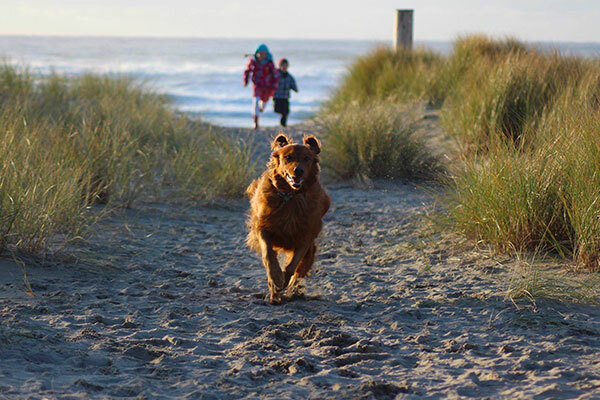 Mking a spin on the city’s name, hundreds of dog lovers will gather in Manzanita Oregon each year in September for the annual Muttzanita festival. Sunday will have local businesses and vendor booths, games and contests (for humans too) keeping festival goers busy and engaged during the full day of activities. 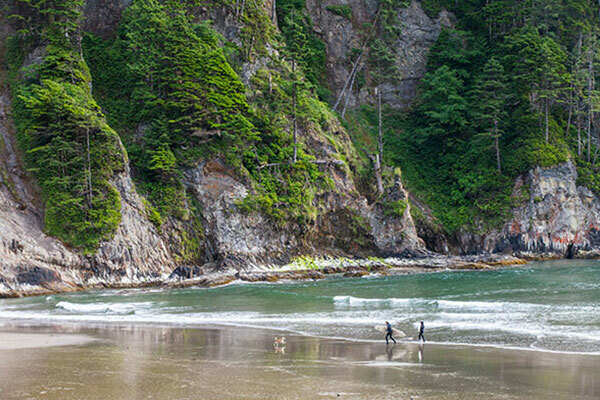 Where else can you experience the wonders of the Oregon coast and engage with like-minded animal lovers? The weekend is packed with dog & human related contests and hilarious activities, demonstrations, gourmet dog biscuits, numerous vendor booths, children activities, an animal (and human) costume contest and pet parade down main street on Saturday morning. The day’s events come to a close at 3:00 pm. The festival welcomes well-behaved dogs and cats of all sizes and shapes (and their humans) that are at least 6 months old and are on a short leash. For event details and schedules, visit www.muttzanita.com or stop by Four Paws on the Beach at 144 Laneda Avenue. 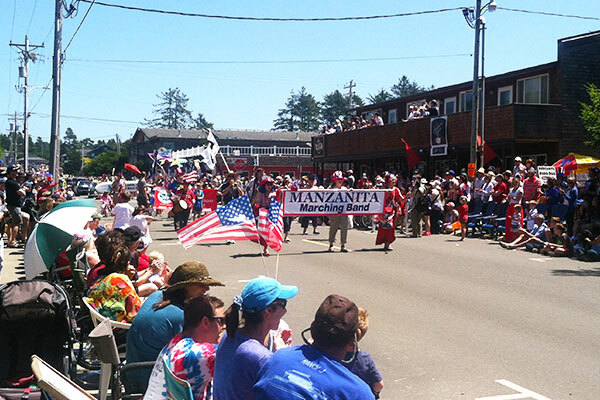 Manzanita is home to the biggest small-town 4th of July celebration on the North Oregon Coast. Make plans to take part in a full day of activities for the whole family to enjoy. As always, the greatest way to support any event is by attending. The event starts with a pancake breakfast followed by a community parade on Laneda Avenue. The more, the merrier at our fun-filled hometown parade. From marching bands to giant crabs to dancing librarians, we have it all. To be in the parade, you must register by visiting the City of Manzanita website to find registration forms – space is limited! After the parade, take the family and head over to the Nehalem Bay Winery for live music, food, wine and beer. When it starts to get dark outside, be sure to make your way to the beach in anticipation of the best fireworks display on the Oregon Coast. Fireworks usually kick off around 10PM. Asking for someone’s hand in marriage is one of life’s most important decisions. With the Manzanita serving as a background, you’ll ensure that one of life’s most treasured moments will be as breathtaking as the backdrop. Imagine reciting your wedding vows with these awe-inspiring natural wonders as your natural church: foaming, crashing waves, salty breezes, and long stretches of soft sand. In other words, the sky’s the limit. 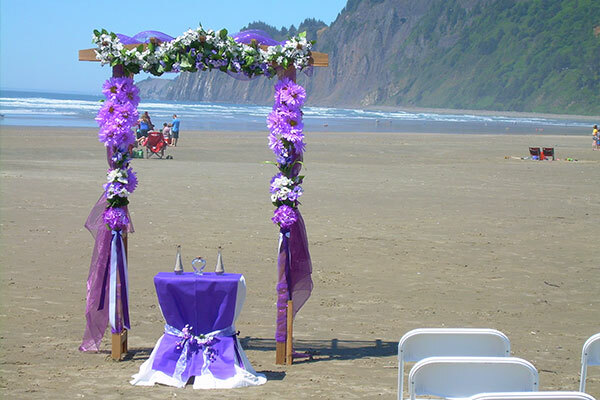 Christina Irvine of My Coastal Wedding in Manzanita has been a wedding officiant for eight years. She has seen romantic imaginations take flight at countless ceremonies over which she has presided. Attending a friends’ beach wedding, Irvine’s saw the romance a creativity the beach inspires. 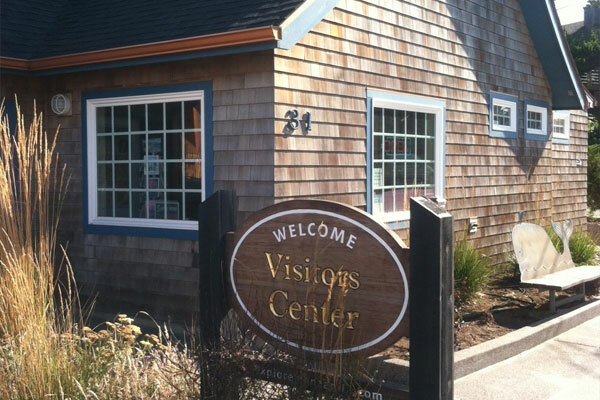 Here at the Manzanita Visitors Center, we have a volunteer staff that loves to share their knowledge and insights about our area. Whether your are looking for place to grab a cup of chowder, answers on area history, or hoping to find a great hiking trail, they have all the answers to your questions. Even if you don’t have any questions, stop by and meet one of our volunteers. They are friendly, helpful and love to chat. Cheers to our volunteers! They make every visit to Manzanita enjoyable. Denny Hennessy, Larry Kiser, Phil & Kathryn Cottle, Leila Salmon, Jan Markle, Lee Irvine, Christine Irvine, Juana Handy, Judy Holmes, Mary Moran, Garry Gitzen, Mark Beach, Jan Hamilton, Peggy Biskar, Cathi Howell, and Norma Seely – they are all friends you just haven’t met yet!